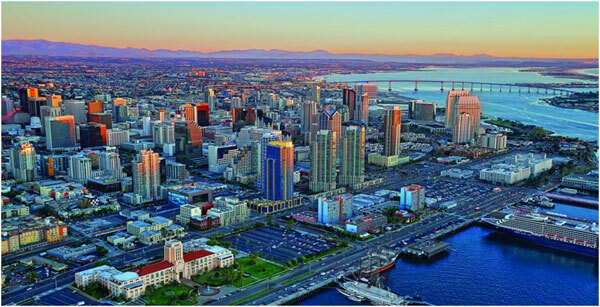 San Diego, one of the most popular cities on the West Coast, is a popular tourist spot. The city was the first European settlement of what is now California. Years later it became part of America and an amazing vacation spot. If San Diego had its own dictionary, the word “boredom” would not exist. Read further down for places to visit, things to do, and places to shop and eat. Our Charter Bus Services may be the best option for a comfortable ride to these attractions. One MUST visit San Diego’s cultural heart, Balboa Park. 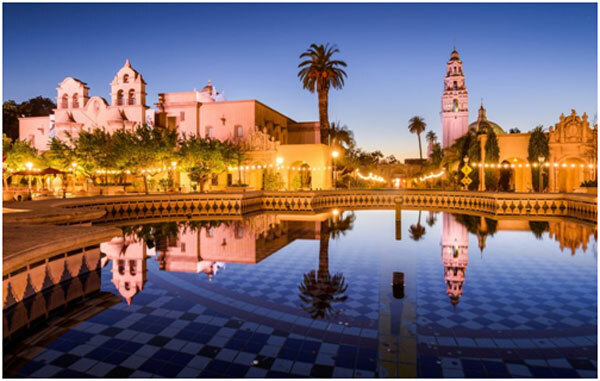 Home to 17 museums, gardens, and the San Diego Zoo, Balboa is the largest urban cultural park in North America. The 1,200 acre park is a must see on a visit to San Diego and reflects San Diego history through its impressive architecture, beautiful art, and cultural events held throughout the year. Located only a few blocks from downtown, the park is a hit for both locals and visitors. For more information on Balboa Park, visit the park’s website. 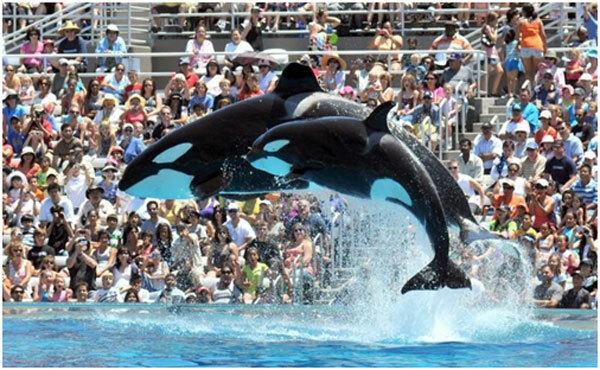 The San Diego Zoo is the one of the most famous zoos in the country, housing 3,500 rare and endangered animals. Pandas, giraffes, elephants, polar bears, koalas, and rhinos are just a few of the animals living here. 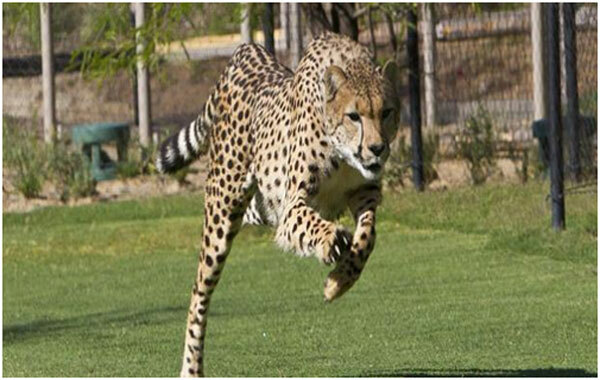 To get more time with the animals of Africa, visit the Safari Park located 32 miles away from the zoo. Here, you can find lions, elephants, cheetahs, zebras, gorillas, and more. To get the most out of the event, consider taking a few safaris. For information for the zoo itself, visit their website. For safari park’s information, visit their website. As San Diego is a large military city, there are military properties and bases located throughout the area. 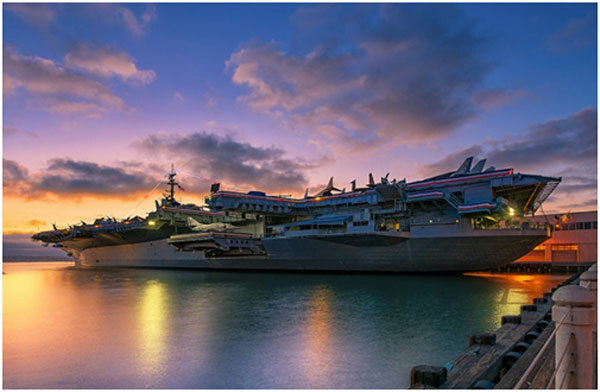 The USS Midway is one of these properties that offer a closer look into the job of the military. The USS Midway is the longest-serving American aircraft carrier of last century, carrying over 225,000 throughout its life. Now it offers 60 exhibits and many restored aircraft to the public. Explore the ship’s interior down to the last detail. For interesting information, we recommend you talking to the volunteers there, as many of them are military veterans. For purchasing tickets, visit their website. This beach isn’t exactly in San Diego, but its close enough (across the bay). Coronado Beach is one of the most popular beaches in the area, with its miles-long shoreline. 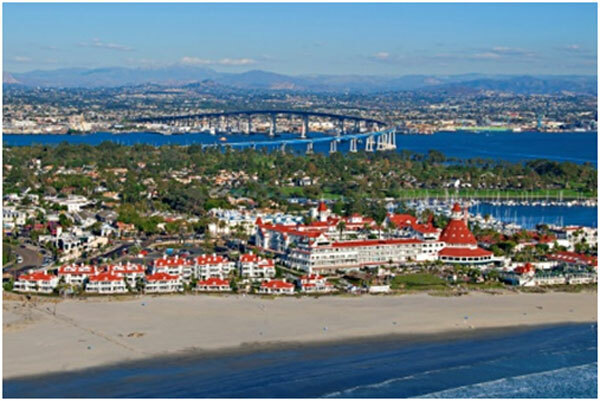 Located in Coronado, the “Crown City”, you can admire the beautiful scenery and the magnificent mansions that sit behind the beach. After you’re done spending time on the water, we recommend you to take a stroll down the beach’s shoreline, known for its views of San Diego. The best time of day for incredible views is at the time for sunset. While the beach is beautiful at night, don’t stay there too late into the night, as there is a curfew from 11 p.m. to 6 a.m. daily. 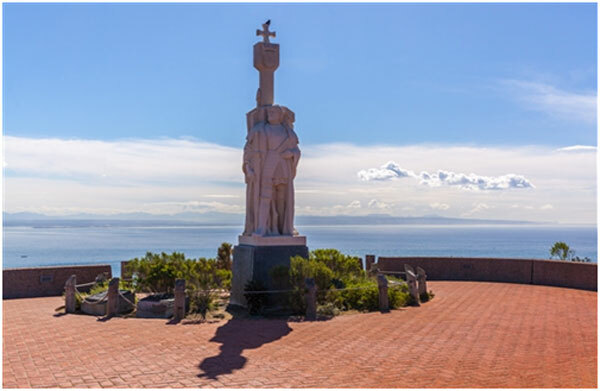 The Cabrillo National Monument is located at the southernmost tip of Point Loma, where you will find the statue of Juan Rodriguez Cabrillo. Cabrillo was the first European explorer to navigate the Cali coast. The main reason people visit is for the incredible views of the Pacific Ocean, downtown San Diego, Coronado, and the mountains of Tijuana, Mexico (only visible on clear days). After your scenic viewing, head down Cabrillo road to visit the tide pools or to take a walk along the adjacent bluffs. For more information on the monument, visit the Cabrillo National Monument website. The Maritime Museum offers visitor a look at what San Diego used to be: a busy seaport. You can tour several types of historic vessels, including sailing ships and submarines. The world’s oldest active ship, the Star of India, is also located here at the museum. If just touring the boats isn’t enough of an experience for you, you can sail on one of the museum’s boats, including the Californian, the official tall ship of the State of California. 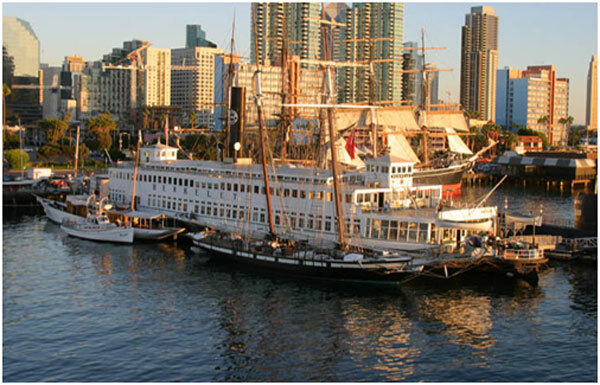 For prices and tours, visit the Maritime Museum of San Diego’s website. 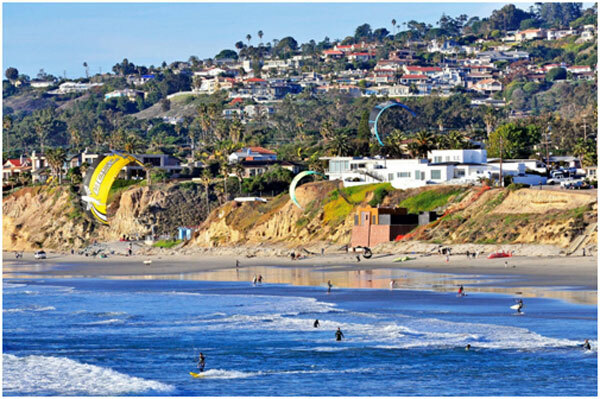 Mission Beach and Pacific Beach are other popular beaches in the San Diego area, thanks to nearby attraction and facilities. While it is two beaches, they are one giant, connected shoreline. Every year, thousands of tourists visit the beach. The beach is a popular spot for surfing as well, great for both beginners and seasoned surfers. Separating the two beaches is Belmont Park, home to the Giant Dipper wooden roller coaster, a 100+ year-old National Historic Landmark. The park also features other rides and arcades. Although there is no fee for entry to the beaches, Belmont does charge. For prices, visit the park’s website. 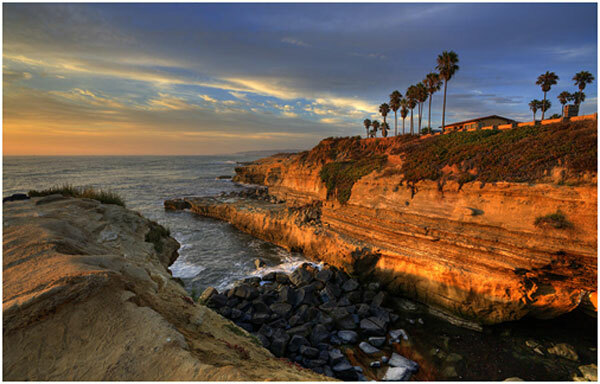 Sunset Cliffs is another place for amazing ocean views in Point Loma. Stretching across 68 acres, the sandstone cliffs and vegetation offer some amazing scenery. The best time to visit, as the name implies, is sunset. To avoid the majority of the crowds, visit the Cliffs sometime during the week, not the weekend. There are also nearby beaches, some popular for surfing. Expect to see many locals catching waves here. If you head towards Sunset Cliffs Natural Park, you can find several walking trails that run along the ocean. Mission Boulevard – Located next to Mission Beach, Mission Boulevard is a popular shopping destination. After soaking up in the sun, hit up the boulevard for the many restaurants and retailers. Fashion Valley – If you’re looking for high-end retailers, Fashion Valley is the place to go. Shop here for designer brands such as Chanel, Nordstrom, and Gucci. Las Americas Premium Outlets – The Las Americas Premium Outlets is the largest outlet mall in the San Diego area. You can shop here for designer brands as well as more affordable brands. University Towne Centre –The UTC offers a combination of high-end retailers and top-notch restaurants. After shopping for the brands you love, you can grab a delicious bite to eat at some of the better restaurants in San Diego. Seaport Village –The Seaport Village is a quaint little area featuring over 50 specialty shops and galleries. You can buy collectibles, home accessories, jewelry, souvenirs, and other items here. Little Italy – You can’t shop at San Diego without shopping at Little Italy. This shopping destination is filled with art galleries, home décor stores, and boutiques. Also, don’t miss out on the amazing Italian food served here. Gaslamp Quarter –Take the opportunity to shop at one of the most historic sites in San Diego. Filled with over 100 specialty shops, galleries, and restaurants, this area has everything to fulfill your needs. Cedros Avenue Design District –Cedros Avenue Design District is 2 ½ blocks filled with shops, restaurants, spas, and boutiques. Also, looking for architects or designers? Many world-renowned have offices here. Trulock’s Seafood, Steak, and Crab House – Rated the #1 fine dining restaurant in San Diego by tripadvisor, this is the place to eat at. Treat your family or take your date here to enjoy the delicious meals. Blue Water – If you’re looking for some amazing local food, look no further. 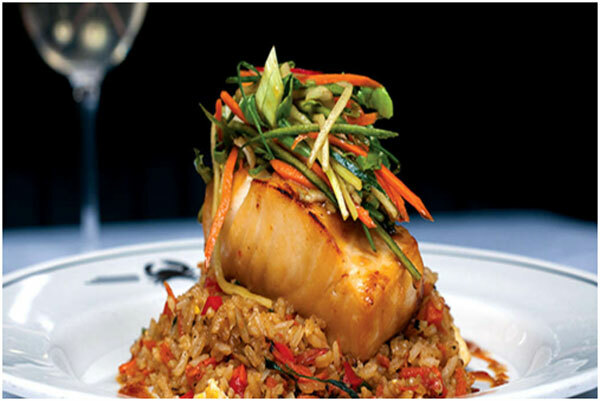 Visit Blue Water, a restaurant rated #1 for local food in San Diego by tripadvisor. You or your stomach won’t leave here disappointed.